HIQ-5384 has sophisticated design which including heater inside and applying special components in it. HIQ-5384 has sophisticated design which including heater inside and applying special components in it. So, HIQ-5384 can still operate well in such bad circumstances of low temperature and higher temperature between -30°C~50°C. Also, HIQ-5384’s WDR function is capable of providing clear images even under strong back light condition. With the DNR technique, HIQ-5384 removes noises that usually appear in low light circumstances, producing high clarity images. hiQview HIQ-5384 is an outdoor vandal proof dome camera, which is equipped with 1/2.7” Full HD CMOS sensitization component and has all-IP architecture. The built-in web server open platform provides remote users with the real time video through Internet browser. The images can be compressed into three formats: H.264/MPEG4/MJPEG and multiple resolutions: Full HD/HD/VGA/QVGA/QCIF. Under Full HD Resolution, HIQ-5384 is capable of outputting excellent images: 30fps@1080p Real-time. Users can choose the suitable streaming format to meet different environmental concerns. The design for the device is beautiful as well as practical: the aluminum material and IP66-rated water-, dust- and vandal-proof is very safe and reliable to be applied to outdoor environments. The 3-axis of adjustable structure and Vari-focal lens 3~9mF1.8 of HIQ-5384 is capable of providing the users with fast and easy installation. The built-in 18pcs IR-LED, 15M light source and mechanism IR cut filter make the images clear under any light source, in day or night time. The network deployment of HIQ-5384 is uncomplicated and quick. It provides the installation tool, which can search for the device that is already connected to the Internet. This feature alleviates the inconvenience of complex network settings. The analog video output is connected to the analog monitor, which can fulfill different monitor needs. HIQ-5384 also supports built-in 802.3af Power over Ethernet. Users don’t need to additionally install the power lines. Consequently, the total power line cost is reduced sharply. HIQ-5384 provides surveillance functions, including alarm, Micro SD card local storage and 2-way audio. The GUI design is based on the principle of user-friendly and easy manipulation. 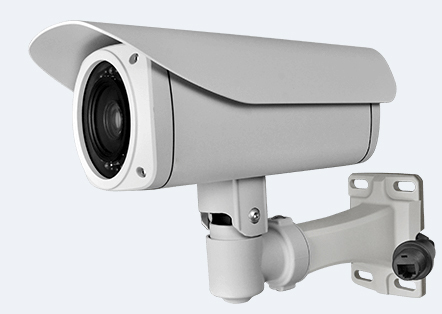 The NVR software is freely provided with HIQ-5384.It supplies users with omni-bearing video management and surveillance. HIQ-5384 is made with day/night dual-purpose, which is suitable for open environments and important entries surveillance.